Philadelphia Flyers right wing Jakub Voracek plans to be in the City of Brotherly Love for a long time after agreeing to an eight-year contract extension on Thursday. Terms of the deal were not announced by the club, although Voracek confirmed the length and TSN reported that the pact was for $66 million – with an average annual value of $8.25 million. The All-Star forward has one season remaining on his four-year, $17 million contract. "Once the season ends, you start looking at your priorities, and clearly (signing Voracek to an extension) was our No. 1 priority," Flyers general manager Ron Hextall said. "The Jake Voraceks of the world are few and far between, and he’s certainly not a player that we were willing to take the risk of losing." 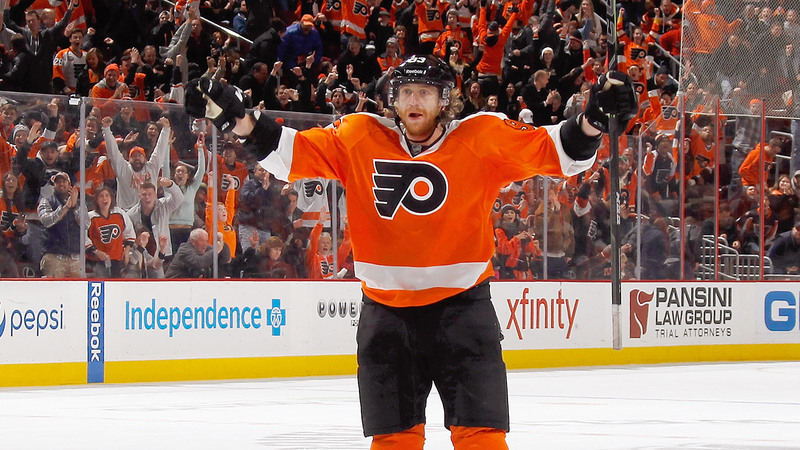 Acquired from Columbus in June 2011, Voracek has collected 85 goals and 153 assists in 290 games with Philadelphia. The 25-year-old, who was the seventh overall pick of the 2007 draft, recorded 22 goals to go along with team highs in both assists (59) and points last season.